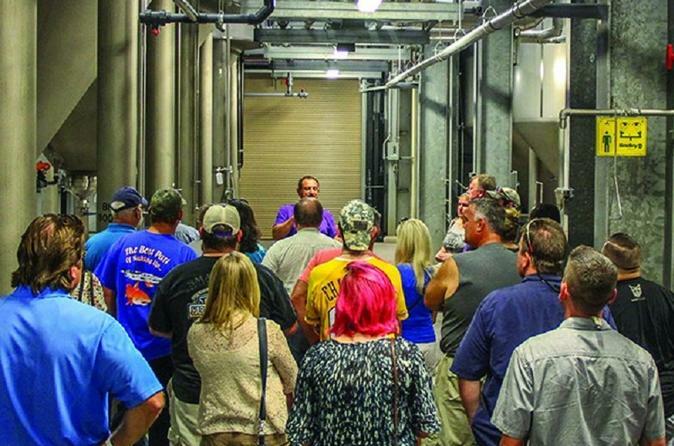 Learn about Abita's brewing process, beer, and history on a guided tour of the recently expanded brewery. Abita's new tour format provides a more intimate and informative experience for guests! Tours last about 30 minutes and include four tastings of the beers. Tours are family-friendly. Closed-toe shoes are required to tour the brew house. If you know the date of your visit, reservations can be made online. Maximum of 20 guests. You will be transported at 1pm by limo bus stocked with cold Abita beer. Once at Abita Brewery, you will be provided a guided tour of Abita, one of the largest producing craft beer breweries in America, by your local Abita expert. After the tour you will be given 4 tokens which will allow you (4) four-ounce tastings of your choice. Abita also offers tastings along with the ability to purchase pints, growlers, snacks, and souvenirs. After having fun at the brewery, head back to the Big Easy for more adult beverages.If your a craft beer enthusiast this is one tour not to miss. The tour concludes at the pickup point around 4:30pm. Special Offer - Book by August 10, 2018 to save 20% off our previously offered price! - Book Now!